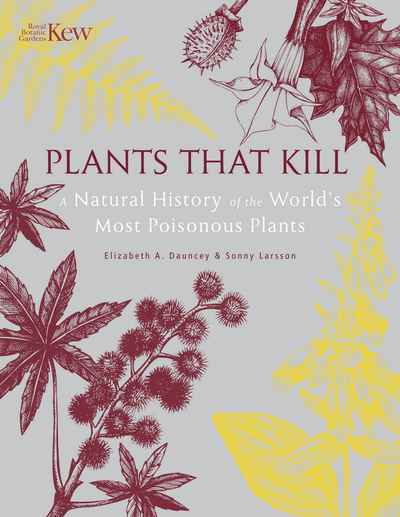 Plants That Kill is not a field guide, clinical care manual, or pharmacology textbook—it is a fascinating and beautifully presented natural history of the world’s most poisonous plants, the extraordinary strategies they employ for survival, and the impact these have on humans, other animals, and on other plants. Some of these seriously harmful and potentially lethal plants can cause their effects if eaten only once, others when consumed repeatedly over a longer period. For some, their effects are felt after skin or eye contact, or following inhalation. These extraordinary plants occur on all continents, and in many different plant families, producing a range of chemicals as part of their strategy for survival. The positive uses that humans and other animals have found for these plants and the chemicals they contain are also an important part of the story.